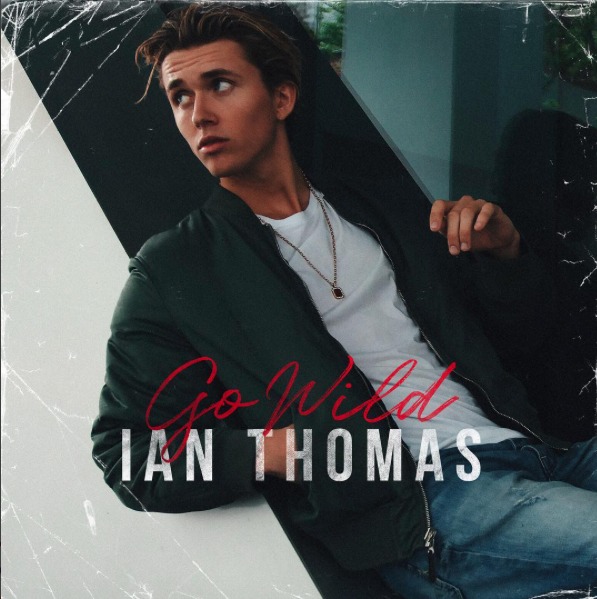 Article: You Have To See Ian Thomas’ Excellent Music Video For His Song “Go Wild!” Watch It Here! He’s an immensely talented and sensational singer and one phenomenal YouTube star – he’s the one and only, Ian Thomas! It’s clear to see why everyone is obsessing over the remarkable Ian Thomas and we can definitely spend our whole day listening to all of his music and watching all of his incredible YouTube videos. The outstanding Ian Thomas has been getting us all super excited with the release of new music and now the wait is officially over! The gifted musician just recently released his new single, “Go Wild” and we’re definitely going wild over how amazing it is. “Go Wild” is super catchy and it has such a great, danceable beat to it. We definitely have it at the top of our playlists and we’ll totally be listening to it at our summer BBQs, parties, in the car and everywhere and anywhere we go. In addition, Ian Thomas also released the official music video for the song and it’s absolutely magnificent. The video also takes place in some of LA’s most iconic hotspots including Venice Beach and the Santa Monica Pier. Ian Thomas definitely did an exceptional job with his single and music video. Wrote this myself… happy you like it!! Check out the official music video for “Go Wild” below and be sure to stream Ian Thomas’ excellent single here! Here at Alexisjoyvipaccess.com, I’d like to send a big congratulations to Ian Thomas on his wonderful single. Previous Article: “Rocko’s Modern Life: Static Cling” Reunites The Original Voice Cast To Reprise Their Roles! Next VIPAccessEXCLUSIVE: Beauty And Fashion Heaven Made Its Way To The Grove For The SIMPLY LA Conference Powered By NYLON!